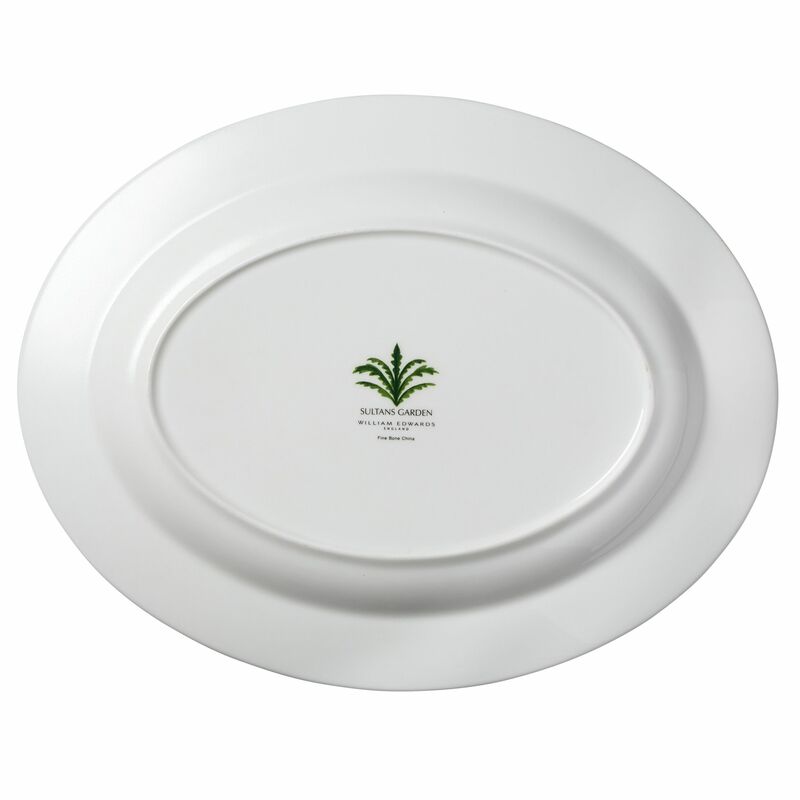 Ensure the centre piece of your table has plenty of appeal with our Sultan’s Garden fine bone china oval platter. 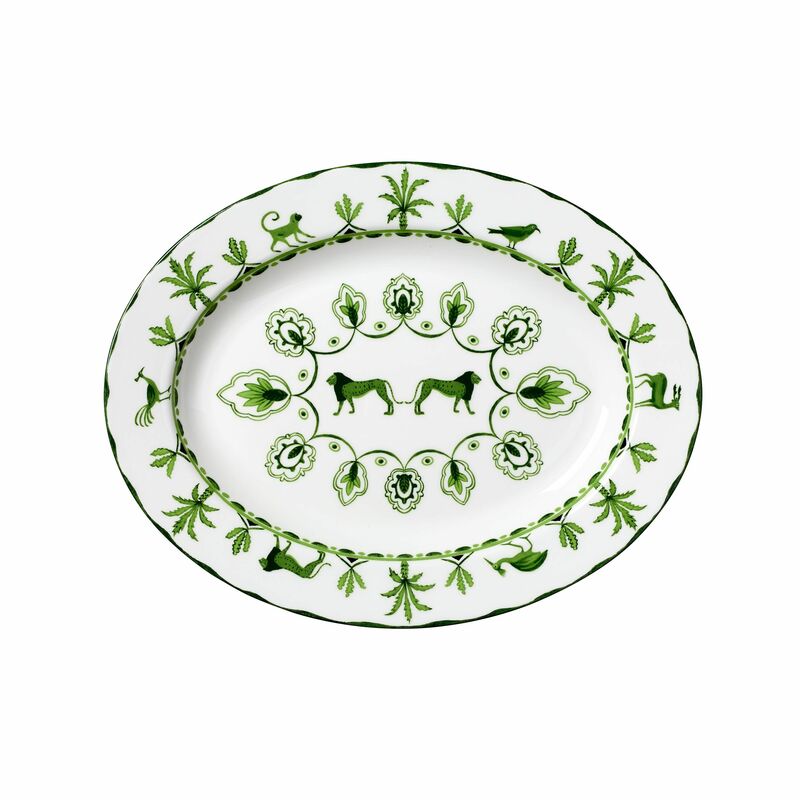 The platter is hand decorated with vibrant palm and cypress trees, lions, gazelles, monkeys and birds, inspired by early near Eastern ceramic artwork. 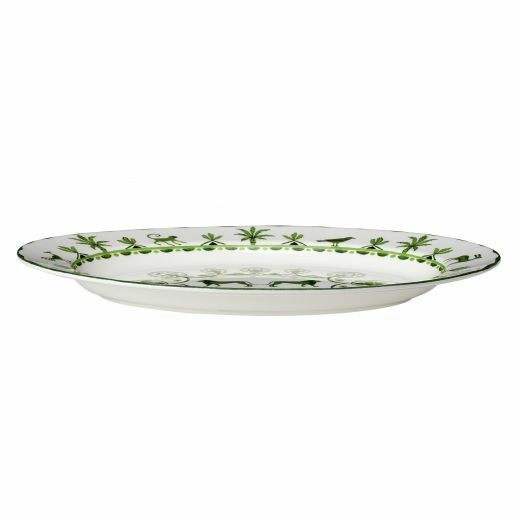 Our oval platter will quickly become one of those true ‘home treasures’ and is sure to be a talking point among your guests. 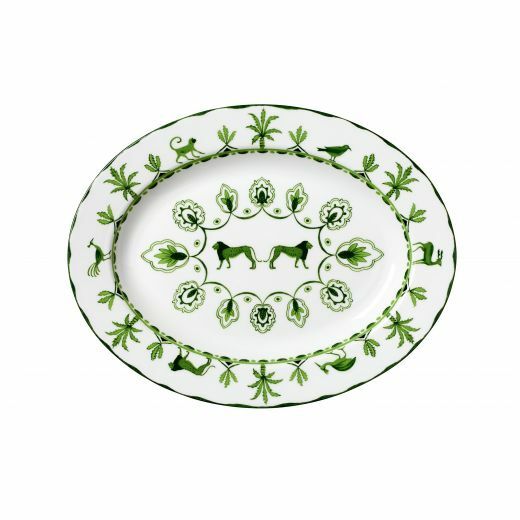 Our oval platter is hand decorated with vibrant palm and cypress trees, lions, gazelles, monkeys and birds, to bring a distinctive touch of exotic style to your table. 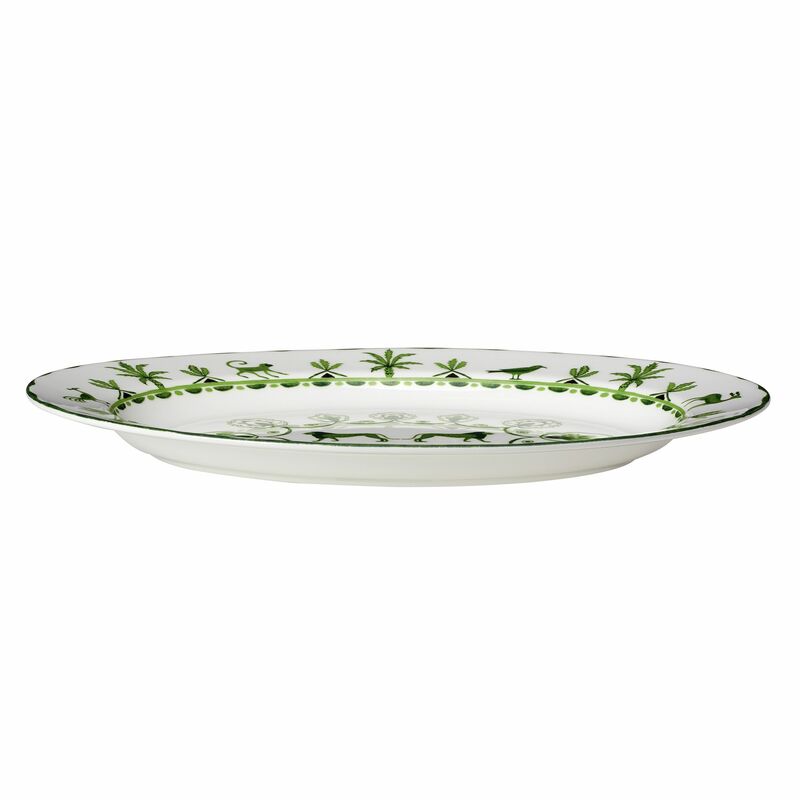 Made from fine bone china, our oval platter is very robust and suitable for everyday use.